Over the dreary weekend I made this light for the office. 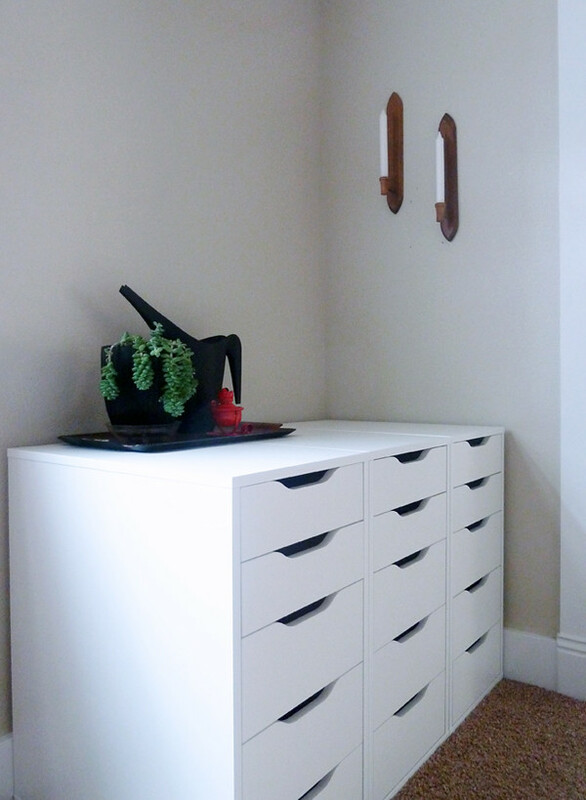 I love it, it's simple and white but has this great organic shape. Oh, it was sooo easy too. That's probably the best part. I just bought a keyless mount and had Jeremiah install that. Then you just screw in as many splitter as you want, add light bulbs and done! We're putting one identical to this in the living room too. They let off so much light and I think over time I may add to them, though the 10 splitters I used seems to be just the right size so maybe I won't. 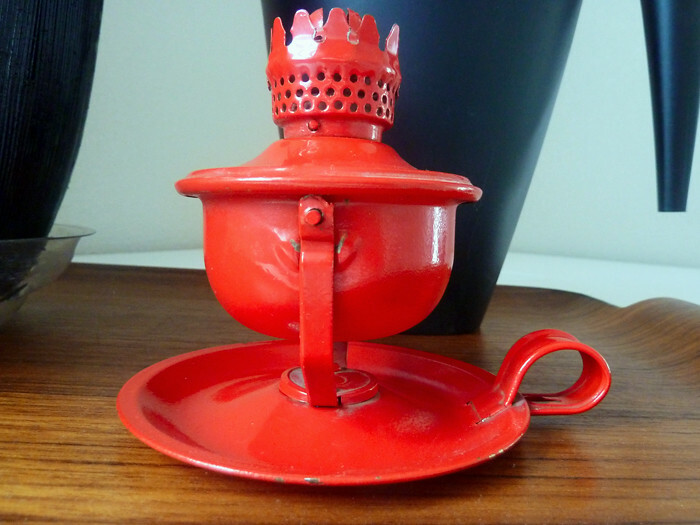 I also thrifted the wall mounted candle holders and the bright red oil lamp, all for under $5. 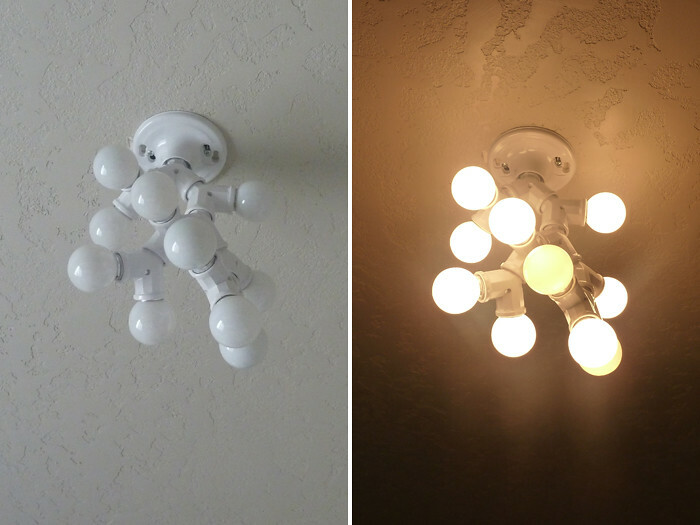 I'd love to find more of these lamps, maybe start a collection. There is a slot on the bottom of the handle for hanging and the lamp part pivots, kind of cool huh? I'll try to take more pictures of the living room light when it's all done. 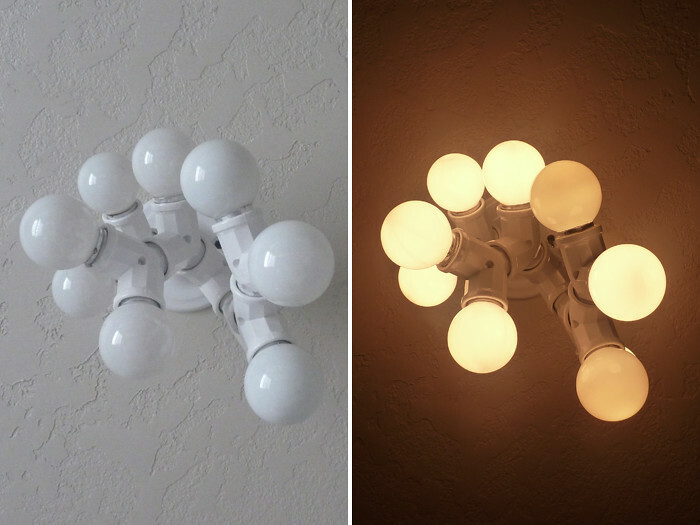 My thought was that since the office light and living room lights are in a very straight line from one another, having identical fixtures could be cool. I hope. wow! impressive! i love it Jenn.. your house,room,living room all looks great Jenn:)oh.. and Israels room is just amazing!so detailed and beautiful with all the vintage toys. P.S. My word verification was FistRam. I kid you not. love it, SO perfect for an office!! also the finds are awesome!..that red is amazing. Love it...you're just so creative! Wow, amazing! looks very nice. i made the same light last year, and i have two of them in a direct line too..
i guess i should send you a picture! genius, genius, genius...you seriously rock lady! You have such an amazing talent for making unbelievably cool looking stuff! I am in awe! ps - I just did my own Ikea run the other day! I came out with all this stuff! Felt great. Now I gotta go back to get a chair. Oh I love the lamp!! Great idea!